The Concours of Elegance 2017 will be bringing a very special piece of history to Hampton Court Palace this September; the first ever car to receive a speeding ticket. 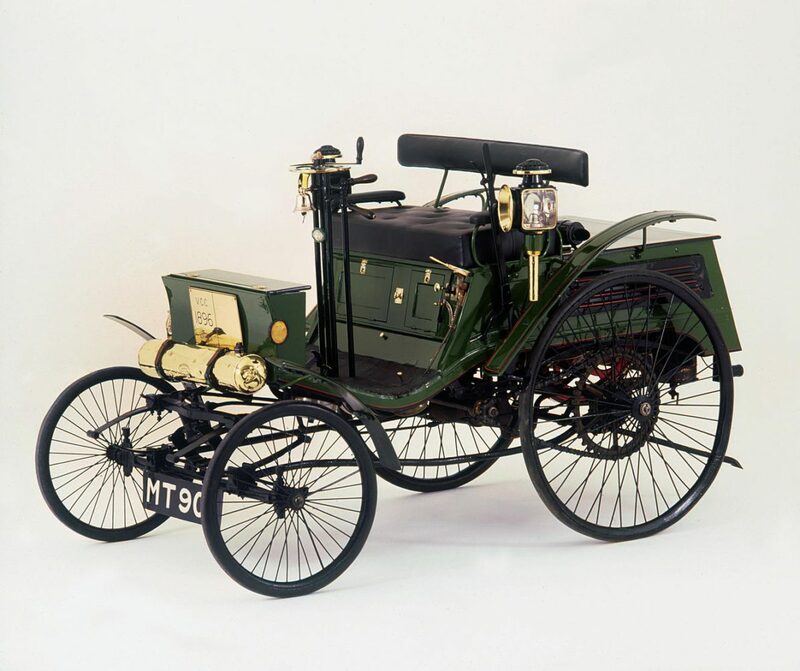 The 1896 Arnold Benz Motor Carriage was travelling at four times the speed limit, at a heady 8mph, before being pulled over by a policeman on a bicycle. The law at the time required all cars stick to a limit of 2mph and that they be led by a man on foot waving a red flag at all times. But Walter Arnold, driving through Paddock Green in Kent, was doing neither. As a result Walter was convicted of speeding and forced to pay a shilling fine plus costs. It was in late 1896, with the advent of the Locomotives Act, that the need for a red flag bearer and 2mph speed limit were abolished and the limit raised to 14mph. In celebration, cars raced from London to Brighton in a so-called Emancipation Run, during which Walter Arnold actually competed. The run still exists to this day, in the form of the Royal Automobile Club’s annual Veteran Car Run, in which pre-1905 cars recreate the journey from London to Brighton. A parade of these cars will also be arriving at the Concours of Elegance in September, allowing visitors to experience the sights and sounds of the earliest motoring pioneers. At the other end of the spectrum, the Concours of Elegance at Hampton Court Palace will be welcoming some of the fastest cars ever built. On display will be the Le Mans-winning Jaguar XJR-9 and the Harrods-livered McLaren F1 GTR – both of which are capable of more than 240mph.